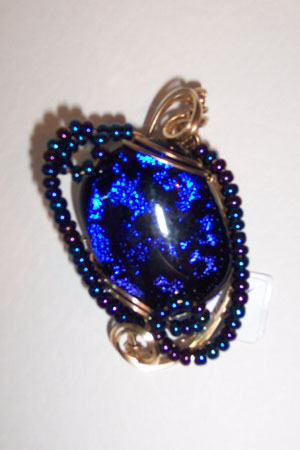 Deep violet-blue dichroic glass pendant embellished with curls of Czech glass beads. Sculpted with 14kt rolled gold. Measures 1.75"x1.25".